If you're unsure how to install Reign of Giants to your Standalone (and you purchased it using Humble widget), check out the link below for info on installing the expansion. If you've tried the installing the expansion and are still encountering issues; please let us know! I'm still having issues. I'm using the standalone Linux version of the game. I have uncompressed the RoG file in the same place as the main Don't Starve files, but none of the new behavior is appearing (i.e., I don't see any birchnut trees, or deserts, or glaciers, or giants; it looks identical to vanilla Don't Starve). 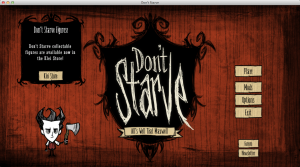 I'm running build 98608 (2014-03-28-14-32-39) of Don't Starve on Ubuntu 14.04 (Trusty Tahr). Any chance you've fixed the problems with the Linux updater? If so, how do I get the new updater? If not, any chance you can push a newer build of the game to Humble Bundle so I can download it the old fashioned way? or perhaps there's something else I haven't done which is preventing the game from recognizing the RoG content; any idea what else I should try? Hmm, so your updater (which is version 20 currently) segfaults whenever you try to run it? Have you tried fully uninstalling the game from your system and re-installing it to see if that helps? Then when the game has been re-installed, try running the updater so see if that will update to version 21 - which will recognize RoG content. Alas, the updated version of the standalone installer won't be up on the Humble Store for at least a couple of weeks; we want to make sure that the updater works and that there are no bugs or issues that pop-up. I understand you don't want to do a release for every change, but this bug is completely game breaking, without the fix you are currently selling a game on the Humble Store that simply does not work at all. Wouldn't it be better to sell a version that mostly works even if some other bugs remain? Running the updater is not really an acceptable solution for me. The requirement to use it is essentially the addition of DRM to the game, and avoiding DRM is the main reason I bought the DRM-free version on the Humble Store. I'm hoping you guys can push an update to the Humble Store a little faster than two weeks especially since you already have a newer version. I can't wait to finally play RoG and I'm sure it will be every bit as awesome as the original game was. That sounds like a talk of pirate. I removed my .klei directory, removed the directory where I had put the game, re-downloaded everything from Humble Bundle, untarred it, and tried running it again (without yet trying to untar the RoG stuff; just trying to get vanilla Don't Starve to successfully run the updater). Same problem: the updater segfaults, while the game itself (found in the dontstarve/bin/ directory) runs great. The updater worked fine on Ubuntu 12.10 and 13.04, but has never worked on Ubuntu 13.10 or 14.04. This has held true for updater versions 18, 19, and 20. I suspect the Fontconfig and Pango warnings are a red herring: even when the updater ran, it displayed little rectangles instead of letters of text, so I would expect font warnings even if it could run successfully (as it says, "expect ugly output."). 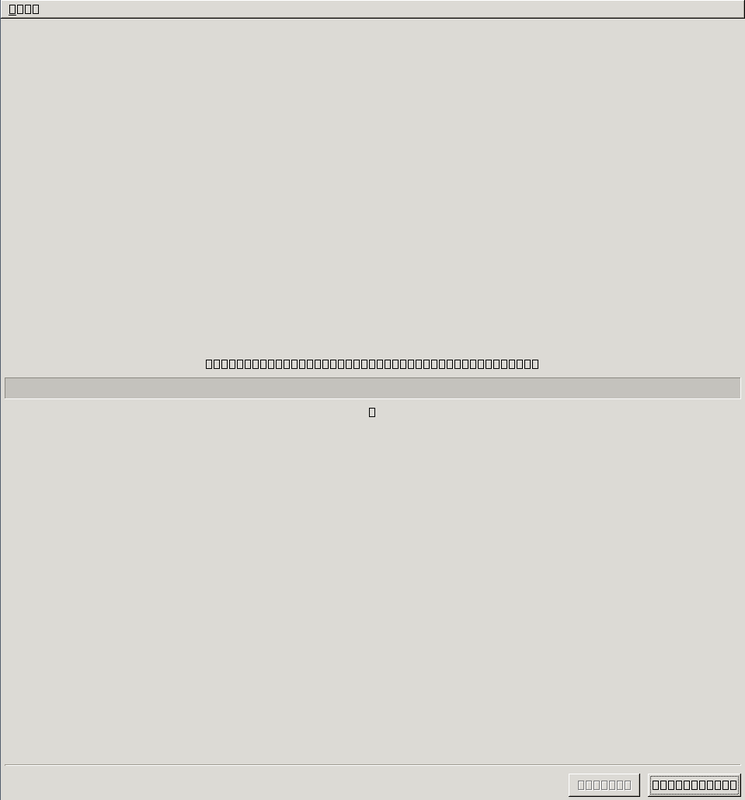 I've followed its instructions and run "pango-querymodules > '/etc/pango/pange.modules'", so that file now contains a comment saying it was automatically generated but nothing else. The updater.log file is empty; whatever is segfaulting happens before anything gets written to it. As I said, this problem is nothing new for me: the updater hasn't worked since October (and you can look at the previous posts I've made on the Don't Starve forums to see that history). I guess I'll wait two more weeks and then try downloading the new version of the game from Humble Bundle. If I had downloaded it illegally, why would I want the game updated on Humble Store? I checked, and the pirates have been playing for a week now based on the Steam version. It's been almost 4 weeks since I bought RoG, and the version on the Humble Store is still the same old completely broken build. Any chance we will see an DRM-free update soon? I have the same issue, minus the updater segfault. The updater just remains like that (the progress bar doesn't move, and whatever's printed doesn't seem to change, unless the new messages just happen to have the same length). If the Pango related issue with the fonts appearing as rectangles (which is there ever since I bought DS) had ever been fixed, I might be able to give more detailed info. I'm also stuck with updater 20 and revision 98608 (2014-03-28-14-32-39) in the DRM free version. updater.log remains empty for me as well. I don't know for sure when was the last time I was able to update the game, but October seems about right. Okay, it's been a month, with no sign of the new standalone installer in the Humble Store. Any estimate on when it might arrive? I feel disappointed and annoyed that I bought RoG but cannot actually play it. When you install from the humble bundle store, it auto-updates to the latest version. I think this way is better so pirates can't get updates. Per my previous comment, the Linux version hasn't had a working updater since October. I am having the same problems on my mac, stand alone. I bought DS and RoG today, Jun/16th and, despite receiving the message that RoG is installed and I could delete the installer, Rog is inactive. 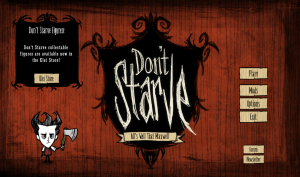 Same With Me I downloaded the standalone on my mac and installed it with the RoG installer.app and then it said it was installed but when i launch Don't Starve it doesn't appear to activate it when i start a new world. Please Help. Hey @Heliobatata and @Kasuki, could I ask you to send us a screenshot of your game's main menu? Did you ensure that you had downloaded the latest update for the Don't Starve client before installing Reign of Giants? Also, could you walk us through the steps you took to install the standalone on your Mac? First i purchased the Don't Starve + RoG + Sound Track. Then i went to my emails and clicked the link to the humble bundle download page. Then i downloaded the Don't Starve.app and the Reign of Giants Installer.app. 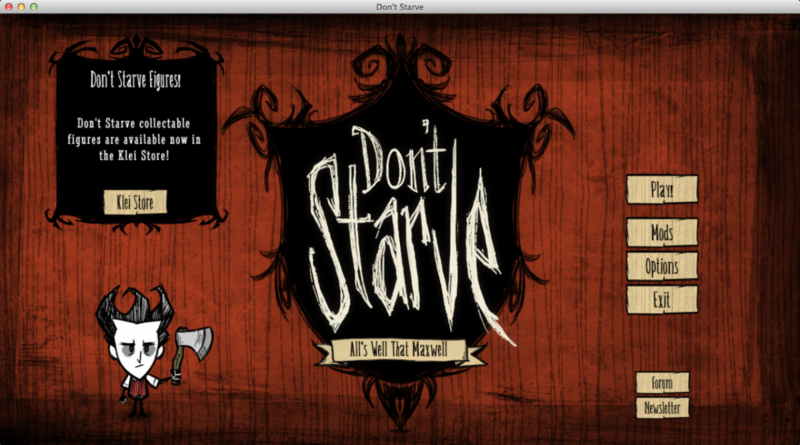 Then i launched Don't Starve.app. Then Launched Reign of Giants Installer.app and it said something like "Installation complete, you can now remove the Installer." Here is the Screen Shot of the main menu. 1- Downloaded Don't Starve and Don't Starve: Reign of Giants DLC from the link provided on the email. 2- Moved Don't starve.app and Reign of Giants installer.app to my Applications folder. 3- Ran RoG installer and received the message that it was installed properly and I could delete the installer ( I didn't delete it). 4- Opened Don't Starve and got the screen I am posting here. Thanks for the help and quick reply, I hope I get this settled soon. After you installed the Don't Starve (core game), did you ensure that you had used the updater to get the latest version of the game before you installed Reign of Giants? Try running the updater again so that you're running the most recent version of the core game. Then install Reign of Giants. If you need help with updating the game, here's a handy update guide. If you're still having the same issue, let me know and we'll try installing the game + dlc step-by-step. My updater is version 20 and when i try to enter my product key it say's "Error Contacting Server"
Where can i find the updater on my mac? It worked after deleting updater.json and reseting the game.